If we had only one word to describe Chicago cover band sensation Sushi Roll, it would be… ANIMAZING! 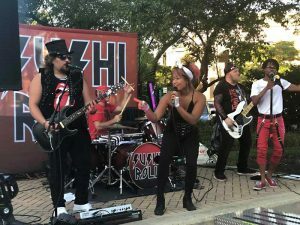 Formed in early 2012, Sushi Roll quickly perfected their own unique blend of high-energy dance music, infused with rock ‘n roll swagger, then topped off with memorable stage costumes inspired by Cosplay and Anime. Sushi Roll is made up of one part driving rock band, one part light-hearted pop, and one part over-the-top theatrical verve. The band easily transitions between revved-up versions of your favorite pop and rock hits by artists like Maroon 5, Katy Perry, Lady Gaga, 4 Non Blondes, Tom Petty, P!nk, ACDC, Jackson 5, CCR, Daft Punk, Icono Pop, The Cars, Carrie Underwood, Adele, Bruno Mars, and many others. 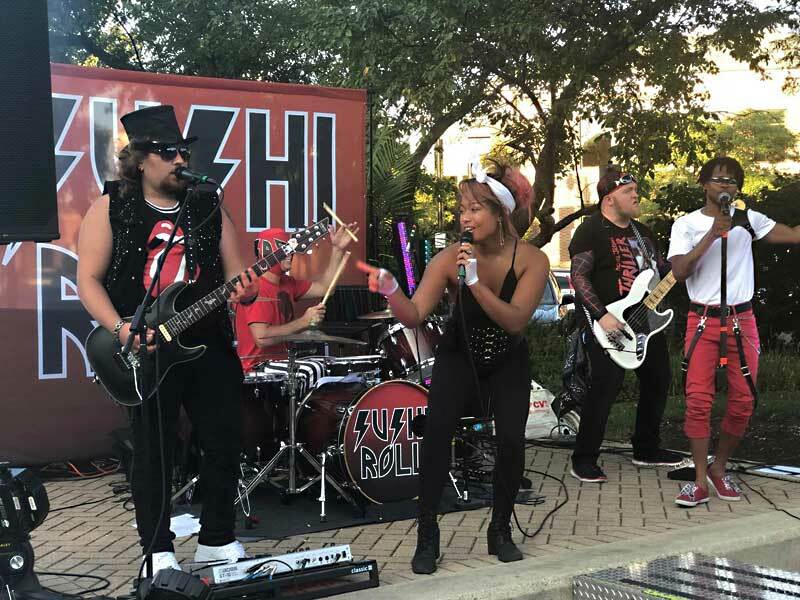 Sushi Roll connects these artists into one non-stop musical journey that is perfect entertainment for bars, clubs, festivals, private/corporate events, and more!